After releasing their divisive sixth record ‘Tranquillity Base Hotel and Casino’ back in May, Arctic Monkeys return to their native Sheffield for four dates at the FlyDSA Arena, among other nationwide performances. Their third night kicked off with a supporting performance from New York rock act The Lemon Twigs, whose unique collision of baroque pop, classic rock and punk attitude goes down surprisingly well with the monkey hungry crowd. Their performance is high energy flamboyance, though between songs vocalist Michael D’Addario remains quiet, eerily gazing down at the observant South Yorkshire crowd; before leaping back into classic rock star poses ala Iggy Pop or Mick Jagger. As the lights dipped, legendary punk poet John Cooper Clarke was led to the front for a touching moment, where he performed his original version of ‘I Wanna Be Yours’, a poem which the Monkeys re-recorded to close their smash hit 2013 release ‘AM’. The loving reception John Cooper Clarke receives is amplified tenfold however as Arctic Monkeys emerge on stage, a glitter cube lowers on the stage right to illuminate the hexagonal hotel lobby style backdrop of gold and beige. The woozy ‘Star Treatment’ opens the evening, and is initially belted straight back at frontman Alex Turner, before the tracks six-minute length inevitably becomes too much for most. The following ‘Brianstorm’ however ignites the crowd, and it’s no surprise that the older tracks such as ‘Brianstorm’ ‘The View from the Afternoon’ and ‘From the Ritz to the Rubble’ generate the most passionate response. 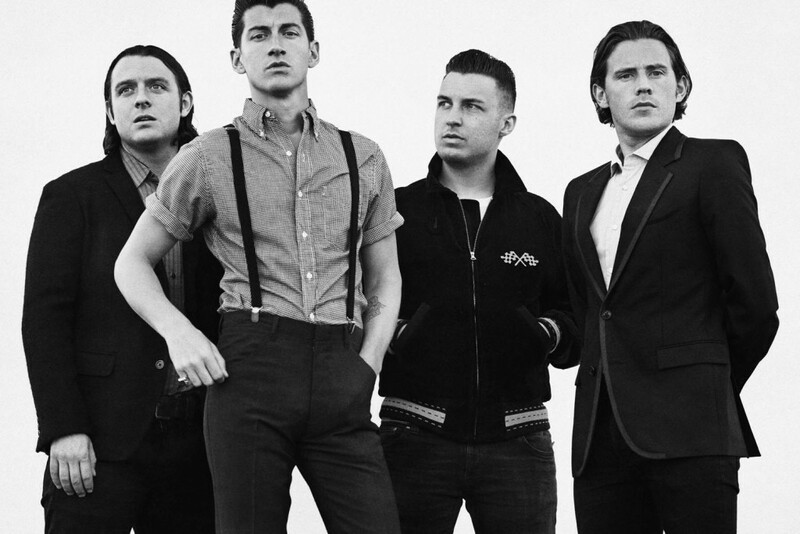 Some have suggested that the band have drifted too far away from the tone and authenticity of these earlier tracks, though not many can debate that as a live act, Arctic Monkeys have developed into a stronger, more agile beast. The assistance of touring musicians gives the band breathing space to toy with other instruments, adding colour their sound, seen in the ‘Jam of Boston’ ending to ‘505’ and the fantastic extended outro to set closer ‘Four Out Of Five’. Turner himself has been the centre of much debate, about whether his quasi-American accent and penchant for sunglasses indoors is a sign of a pretentious self-inflation, or a masterclass in on-stage character acting. Whatever the answer, here onstage tonight he is fantastic, his suedehead crop haircut silhouetting his frame smoothly as he is sat at the central piano, behind the heavy lead guitar or with the mic in hand, Elvis 68′ special style. It’s his stage and he knows it, and it’s a joy to watch him embrace his position, whether it’s when he mimics the loss of his train of thought during ‘One Point Perspective’ or the endearing nod to the minimalistic music video for ‘Cornerstone’, prowling the stage eyes focused on an accompanying camera operator. As a fan of ‘Tranquillity Base Hotel and Casino’, it would have been nice to hear a few more cuts from that record. What with it being the albums tour, it felt a little reductive for the band to lean on overplayed ‘AM’ era tracks such as ‘Snap Out Of It’ and ‘One For The Road’, though I was pleasantly surprised how well ‘Do I Wanna Know?’ fitted in, considering its placement in the setlist. The final one-two combo of ‘I Bet You Look Good On The Dancefloor’ and ‘R U Mine?’ closes the evening in a expectedly raucous fashion, though as Alex Turner cheekily introduces the former “When we wrote this song, it meant very little to us, now it means even less” it does make you wonder if the group are approaching a time where the song will disappear completely; I mean, it’s not like they haven’t got enough to hold your attention.